Plus, a recipe from Diane Morgan's new book, Salmon: Everything You Need to Know. The majority of salmon consumed in the United States today is farmed Atlantic salmon. At one time, wild Atlantic salmon were plentiful, but industrialization, pollution and overfishing pretty much wiped out the stocks years ago; today all of our wild salmon comes from the Pacific. (Nearly 95 percent of the wild salmon in the U.S. comes from Alaska.) The season for wild salmon is just starting now, so it's the perfect time to get smarter about America's favorite fish. In her new book, Salmon: Everything You Need to Know (out now via Chronicle Books), author Diane Morgan goes in deep and brings us up to speed on the ins and outs of farmed fish vs wild (both can be great choices!) 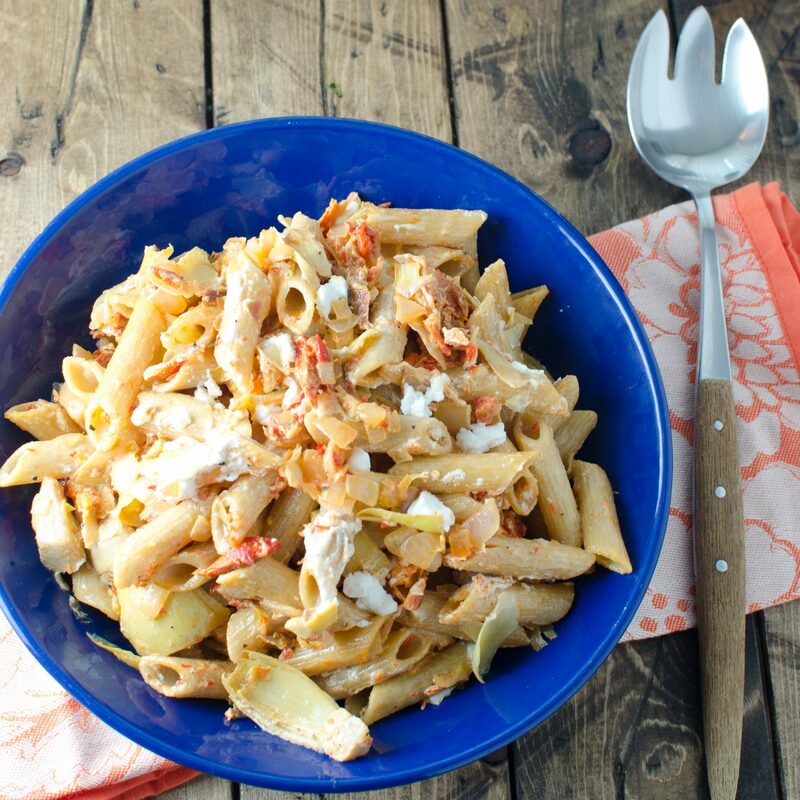 plus 45 ways to showcase this perfect answer to what's for dinner all year long. 1. Mislabeling is widespread in the seafood industry. The best way to make sure you know what you're buying is to get to know your fishmonger. 2. These are the 5 main species of wild salmon that are native to the U.S. You should be seeing them at the fish market from now through early fall. - Chinook, or King: Most weigh 15 to 20 pounds, but they can also weigh over 100 pounds. Their high-fat flesh (which can be over 20 percent fat) ranges from off-white to pinkish red, depending on what they've been eating. Due to their color, they're sometimes sold as ivory salmon. 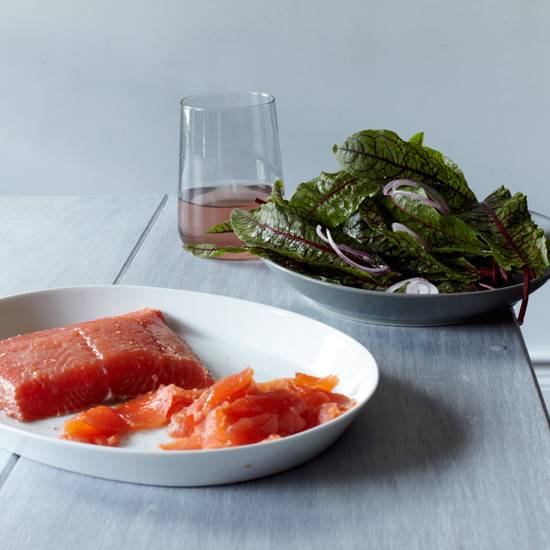 - Coho (Silver): Close in flavor to King salmon, but much smaller at 8 to 12 pounds. - Sockeye (Red): Long and slender, 5 to 10 pounds, with the bright, deep orange flesh that is the color we most closely associate with salmon, thanks to a diet heavy in pink krill. - Pink (Humpback): The most plentiful of the Pacific salmon, they usually weigh between 3 to 5 pounds and are widely used for canning. They're also often sold whole if fresh. - Chum (Keta): At about 10 pounds, these can vary widely—so look look for those labeled "silver brites," with the silvery skin and reddish flesh, for best flavor. 3. Most conventionally farmed Atlantic salmon are raised in densely stocked pens on nonorganic feed, and antibiotics and pesticides are used to maintain the health of the fish. This is the least expensive type of salmon you can buy. There is also such a thing as organic farmed salmon, mostly from the North Atlantic. That means the salmon are more sustainably raised, are given organic feed, that the pens are less crowded, and that no synthetic colors or antibiotics and pesticides are administered to the fish. Europe has had organic-certifying agencies for many years. There is no such thing as "certified organic" salmon in the U.S., however, as the USDA has yet to set standards for domestically raised seafood. For an in depth and up-to-the-moment look at best salmon choices, check out the Monterey Bay Aquarium Seafood Watch program. Combine 1/4 cup flaky sea salt and 4 cups ice-cold water in a container large enough to hold four 6-ounce salmon fillets; stir to dissolve the salt. Add the salmon and brine it for 20 minutes. Remove the salmon fillets, rinse briefly and pat dry. Refrigerate for up to 8 hours before cooking as desired. You can add herbs, spices and other aromatics to the brine. (Reprinted with permission from Salmon By Diane Morgan photographs by Leigh Beisch, Chronicle Books (2016).